It can be tough to come up with ways to motivate teens, and even more of a challenge to inspire those students with learning differences. High school can seem rigorous and be a struggle for teens with social, behavioral, attention, or learning issues. Here are some fresh ways to motivate high schoolers who struggle academically. When high school students have difficulty with interpersonal relationships or social situations, it can help to build rapport and become an ally to the teen. Be approachable and let the student know that you are on their side. You want them to succeed. Make accommodations that help put students with social anxiety at ease, such as individual projects or an assigned friend for field trips. When behaviors challenge conventional classroom learning, it helps to find a way of guiding the student to motivate themselves. This motivation may come through positive reinforcement and achievement of goals. Let the student reap the rewards of a job well done. Make sure to set realistic goals that are tangible enough to be measured, and the success will inspire and motivate students even further. Try to put materials and learning in the context of something the student understands or relates to. For instance, discuss historical events in terms of musical genres or talk about social studies through food and cooking. For students that struggle to retain classroom information, this may help them store it in their longer-term memory. Tactile learning programs are gaining credibility as a means of motivating and inspiring students with attention issues, like Attention Deficit Hyperactivity Disorder (ADHD). Hands-on, experiential models of education are becoming more widespread and pragmatic, based on the diverse makeup of today’s high school classroom. Between learning differences and accelerated or gifted programs, it makes the most sense to keep things simple with individual tracks for students and more opportunities to gain knowledge from tactile experiences. The biggest takeaway from working with high school students that have learning differences is that it takes time: time to foster the relationship and to identify the best approach to sharing information. 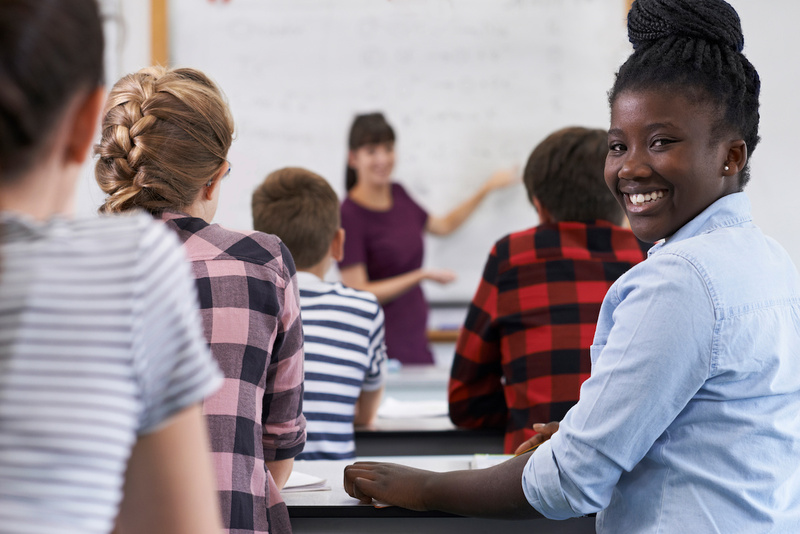 Whether you are a high school teacher, classroom aid, or concerned parent, know that there are ways to inspire and motivate your high school student, and that all it requires is some encouragement and simplicity. If your older child continues to struggle in school, there’s still hope to turn things around. At Brain Balance Achievement Centers we work with kids up to age 17. Here’s just one of many teens whose lives have been transformed thanks to our Program. Contact us to learn more!